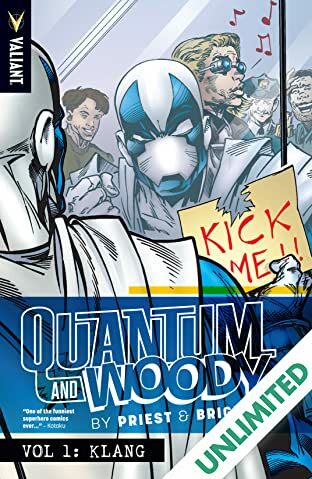 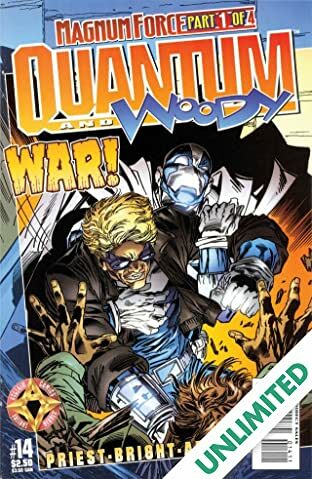 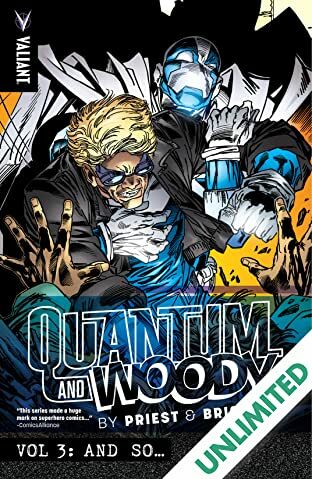 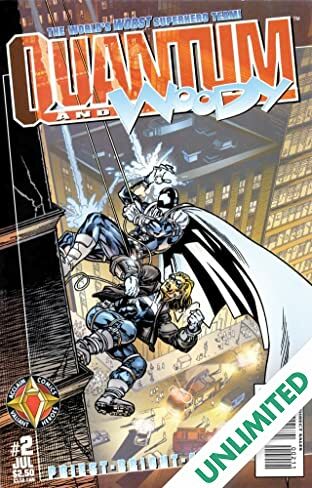 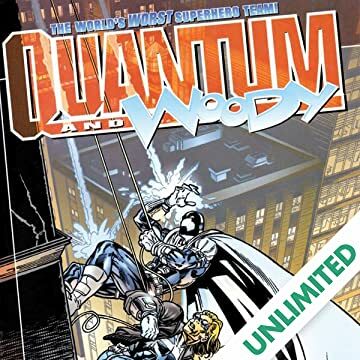 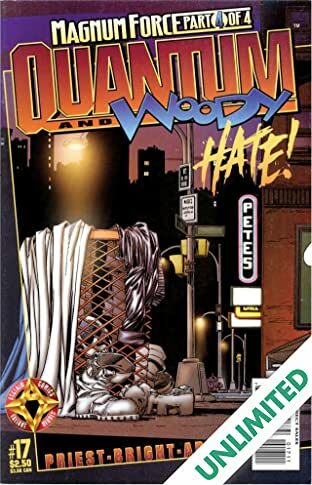 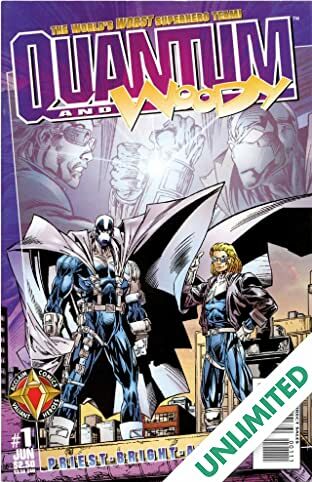 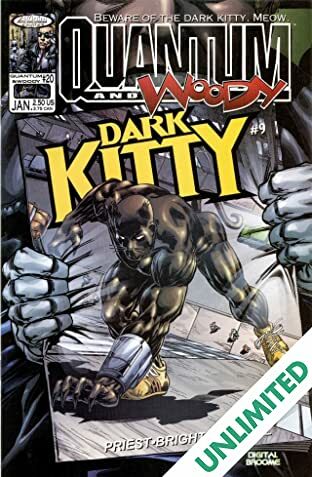 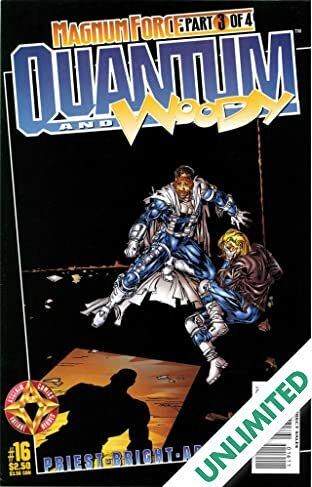 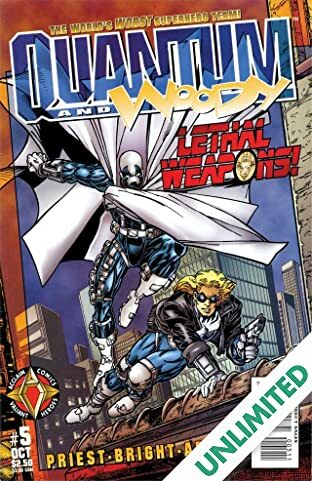 Quantum and Woody are the world's worst superhero team! 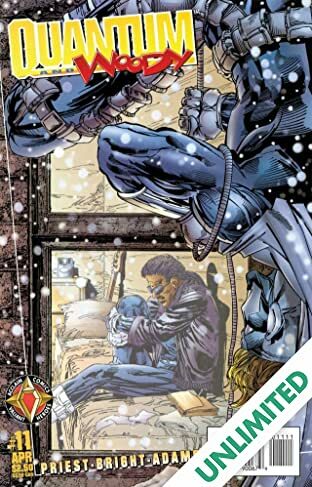 Eric Henderson is a decorated Army tactical officer. 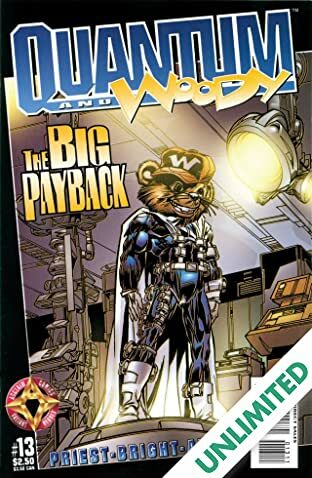 Each move he makes is planned with precision. 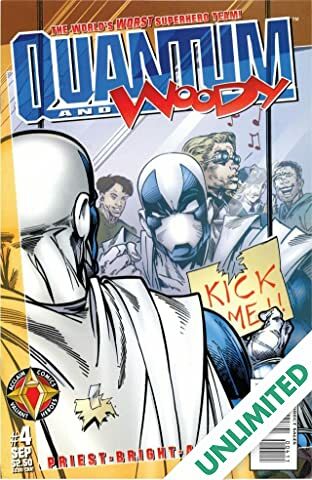 Woody Van Chelton is a goofy white guy with a guitar (but no band). 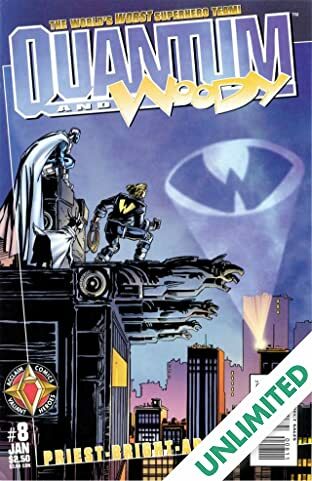 His idea of detective work is hanging a suspect out a window. 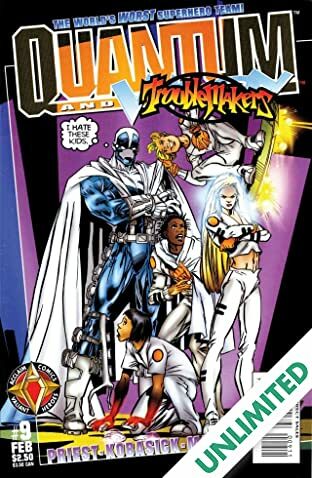 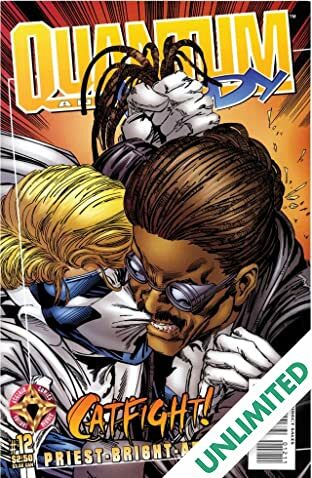 Investigating the suspicious deaths of their fathers, they become victims of a high-tech industrial accident that turns their bodies into pure energy. 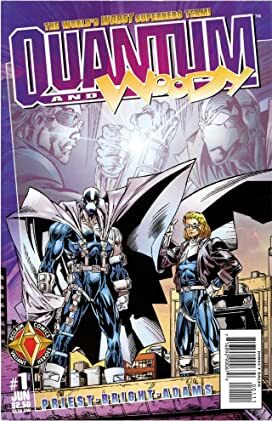 The metal gauntlets they each wear must be slammed together every 24 hours to reset their energy matrix-- or their atoms will break apart. 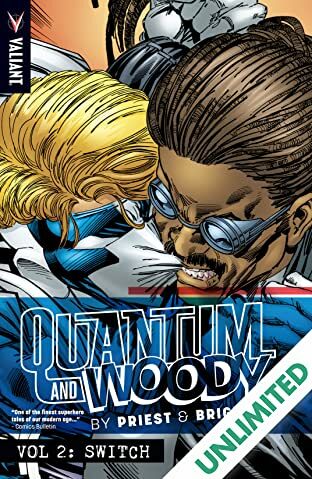 Eric adopts the codename 'Quantum' to find his father's killer. 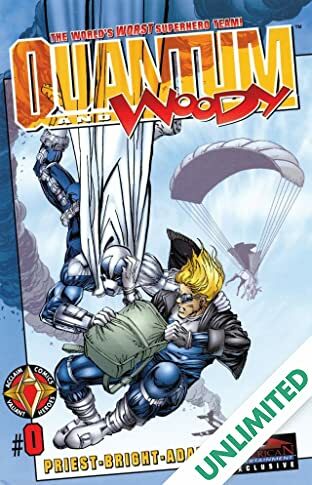 Woody wants avenge his father's death too-- but he'll go by Woody. 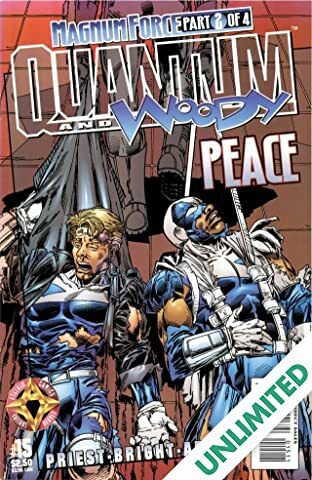 Can they solve the mystery without strangling each other-- or destroying the world? 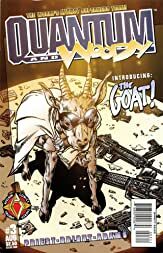 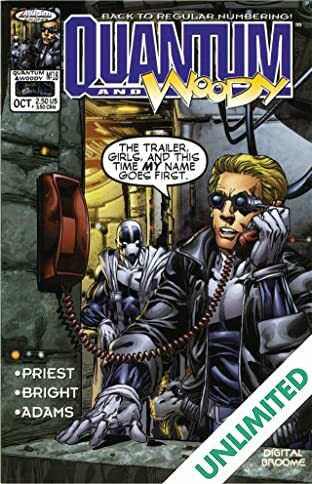 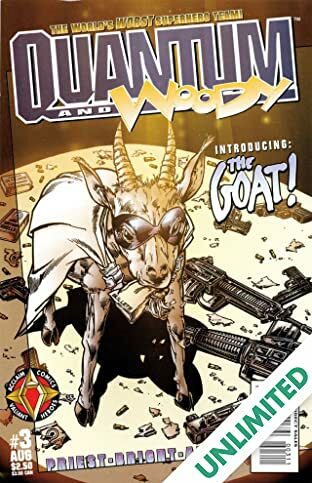 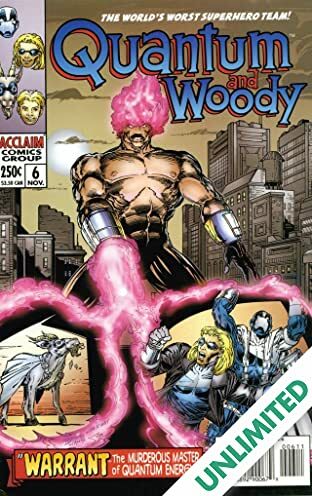 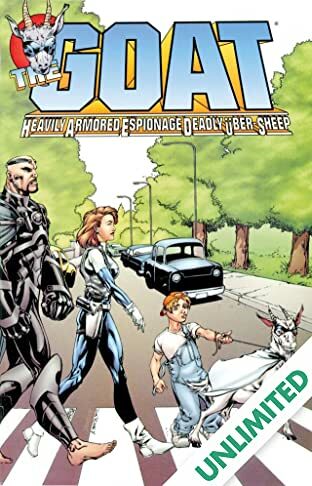 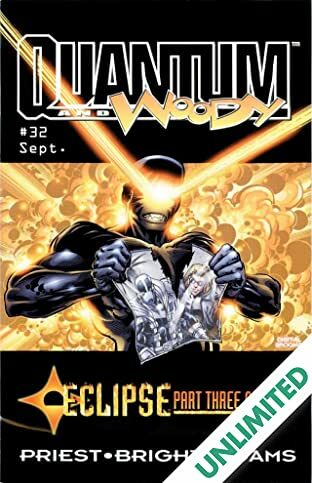 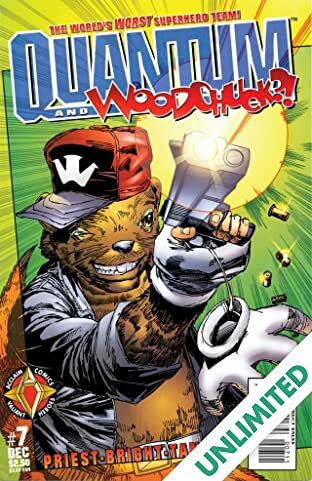 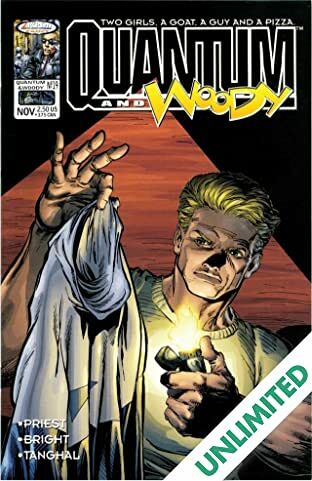 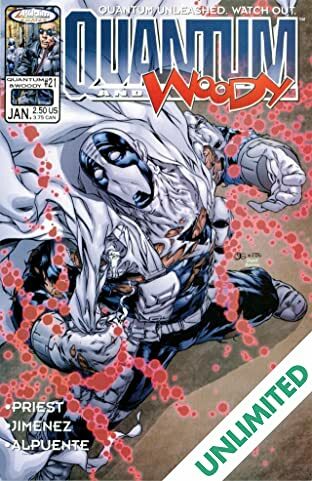 Quantum and Woody Special: GOAT - H.A.E.D.U.S.